This sandwich needs a snazzy name! Add a comment below if you have any suggestions. I adapted this recipe from Cooking Light. I love it because it's fast, easy, pretty healthy, and delicious. You can get it on the table in under twenty minutes if you have all your ingredients out and prepped. It's definitely a knife and fork meal. Don't expect everything to lay perfectly on top of the bread. 1. Heat the 1/4 c.oil in a saucepan over medium heat. 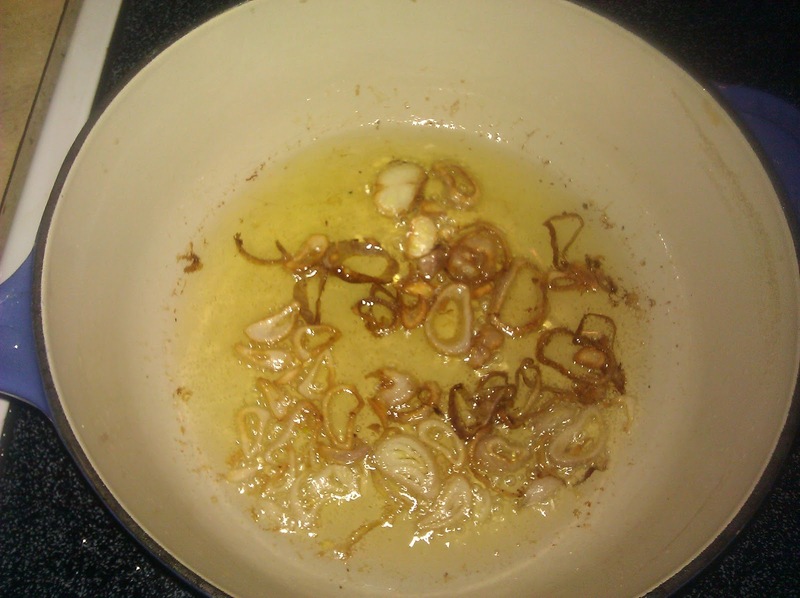 Add the shallots and fry, stirring occasionally until golden-brown. Remove using a slotted spoon and drain on paper towels. Sprinkle with salt. 2. In a small bowl, mix together the ricotta, parmesan, lemon zest, and 1/4 tsp. salt and pepper. 3. Heat the 1 Tbsp. vegetable oil in a frying pan over medium heat. Fry the eggs until the yolks are just set, but slightly runny. 4. 3. In a medium bowl, toss the spinach with the lemon juice, 2 Tbsp. olive oil, and a sprinkle of salt and pepper. 6. Place 1/3 of the spinach on top of the ricotta. 7. Top with an egg and sprinkle of shallots.